Grit vs. Emotional Problems - Good Parent Inc. 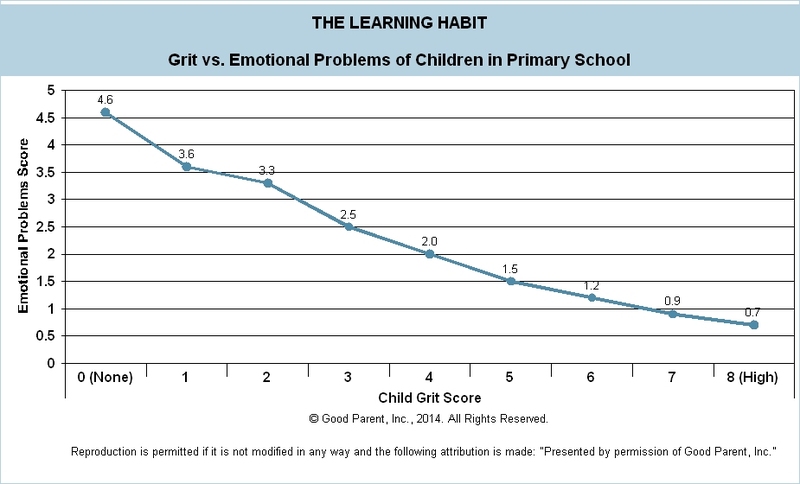 In the Learning Habit Study, we examined Grit and Emotional Problems. Grit may be described as a child’s ability to persist through challenges in pursuit of a goal. Grit is a character trait involving self-motivation, determination, and tenacity. Emotional Problems encompassed how children understood and maintained their emotions. 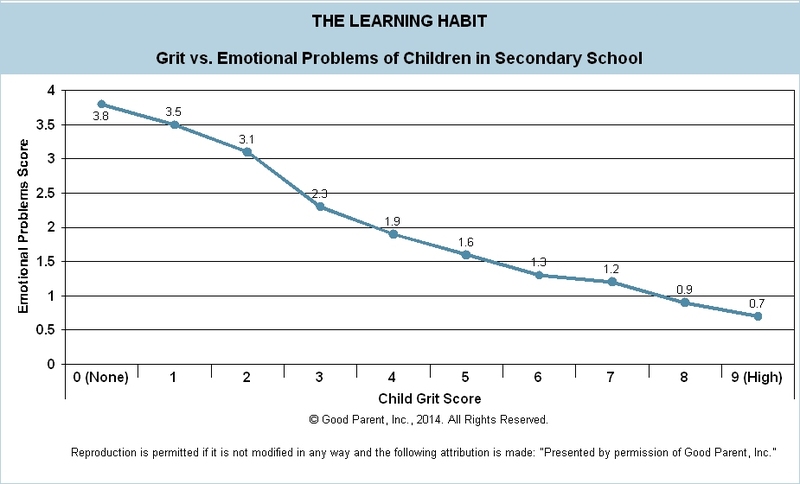 At all grade levels, as Grit increases, Emotional Problems decrease. 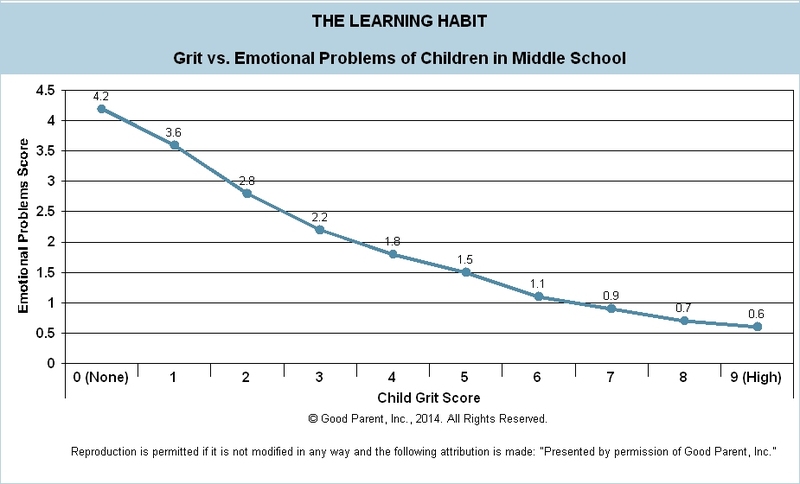 This suggests that as children, regardless of age, learn habits that develop grit, they are more likely to manage their emotions in a healthy and positive way.